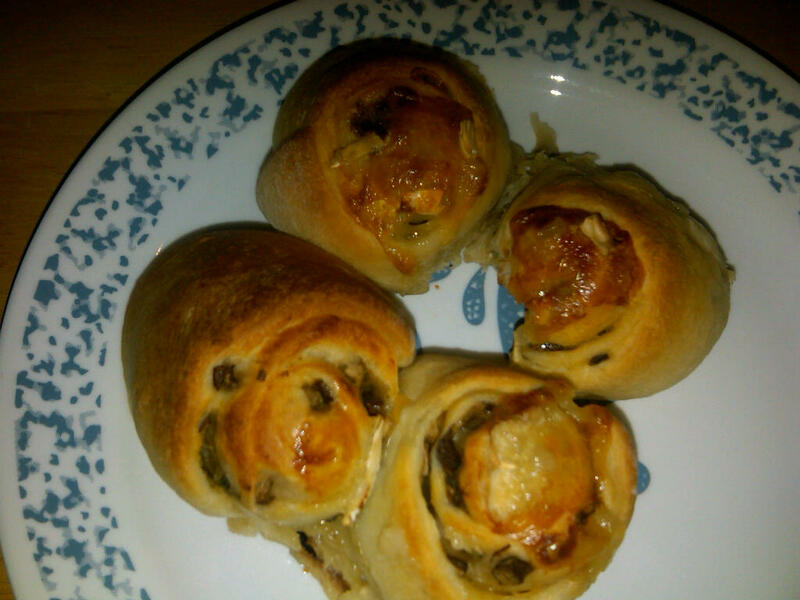 I have made the pizza rolls from my foodie blogger friend One Particular Kitchen a couple times before. And they are awesome. I finally decided to branch out and try variations on her pizza rolls. I made two! Beloved requested a ham and pineapple Hawaiian version. And for the second one, I was inspired by the pizzas a few weeks ago at a foodie event, and made a special veggie version too. Prepare the ingredients. 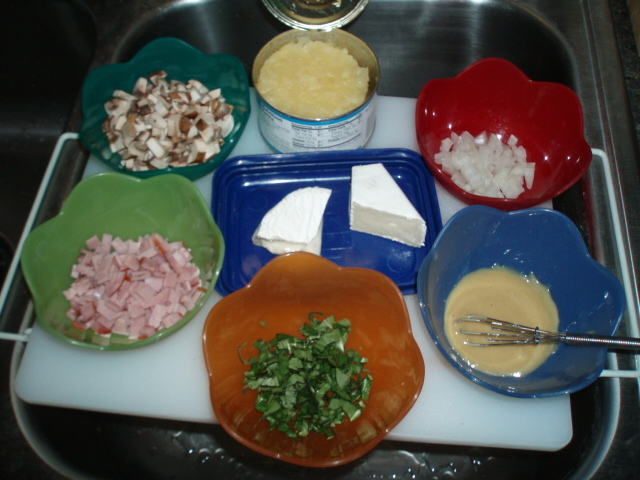 Making sure all are finely chopped, especially any “meaty” ingredients so they are easily “cut-through” at the end. 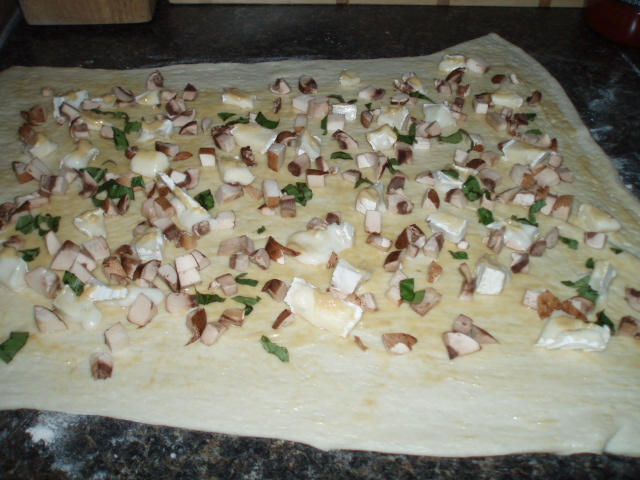 Roll out dough on floured surface into a rectangle. 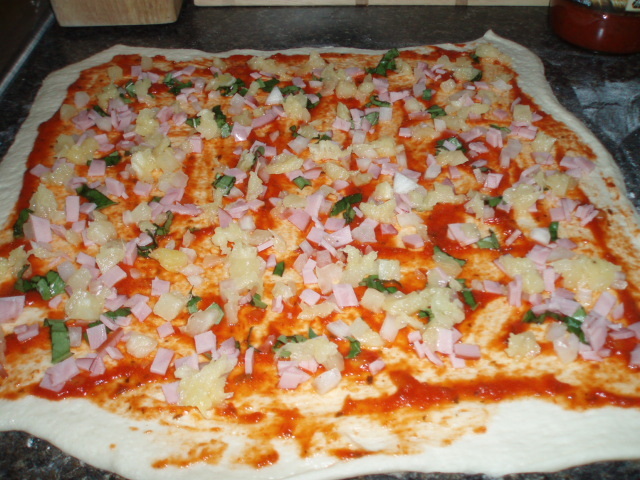 Spread a thin layer sauce (pizza sauce or mustard sauce) on dough. Keep the sauce light so the rolls don’t get soggy. Sprinkle other ingredients to a satisfactory level. Less is better, because you don’t want it to be too stuffed. Slide a thread of dental floss under the roll. Cross the ends and pull both ends away from the roll. The floss will cut through the roll without mashing down the roll like a knife would! Awesome trick, huh? Continue cutting through rolls until you have cut the entire roll. Place the rolls in a cake/brownie/baking pan with the nice sides facing up. 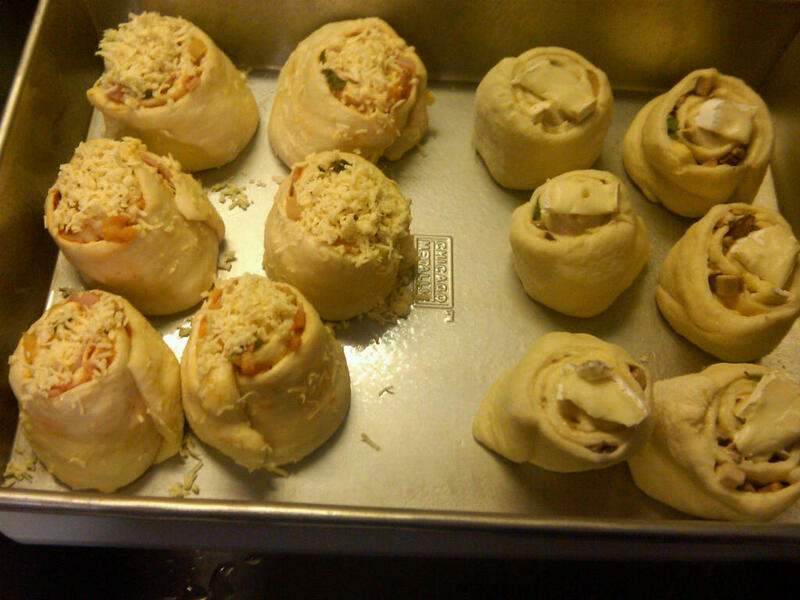 Keep some space between the rolls as the dough will expand. Top with some remaining cheese. 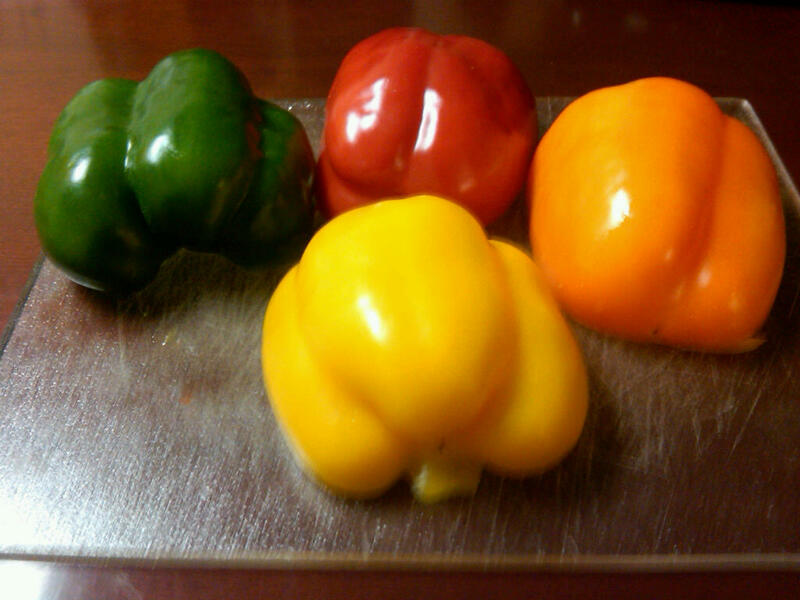 Bake for 20-25 minutes, or until the dough appears to be baked through and a light golden brown. I have been a fan of nuun tablets since Barbie told me about them a couple years ago. You just add them to your water, and it adds electrolytes (and other important good stuff athletes need) and a hint of flavor, but without any sugar! It’s a great way to boost your hydration, and we all know I have a hard time keeping my hydration under control. It’s a slippery slope and I’m usually on the wrong side of the slope. Brew the tea. Feel free to steep a little longer to get more caffeine and flavor, plus it will be diluted in the end. Pour over ice. Add more water if necessary/desired. Add nuun tablet (pushing to bottom under the ice). Wait for tablet to “fizz out” and Enjoy! This was surprisingly good and I instantly felt better. Necessity is the mother of invention! This is the easiest salad you’ll ever make for a party!! Got a last minute invite for a summer party and need to bring something? This will solve your problem fast! And everyone loves it! Drain can of corn, save juice. Drain can of beans, save juice. 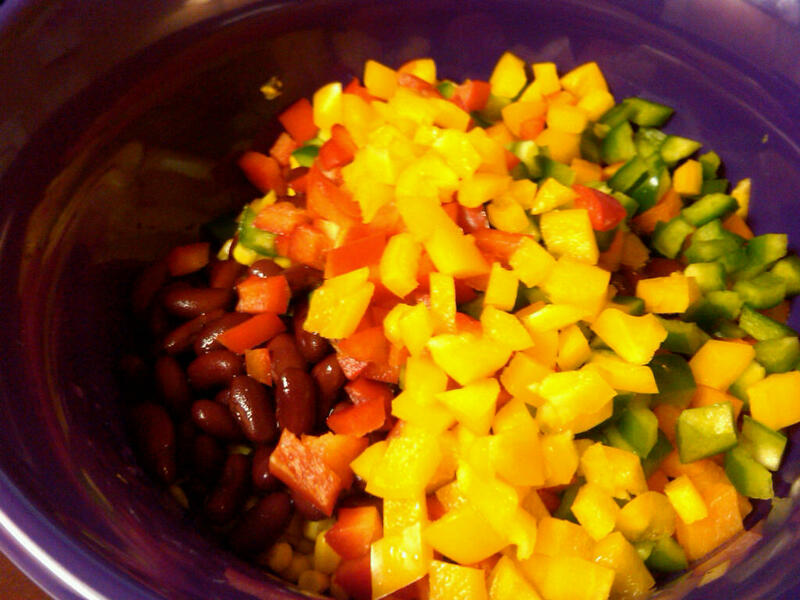 Add corn and and beans to peppers in a bowl. 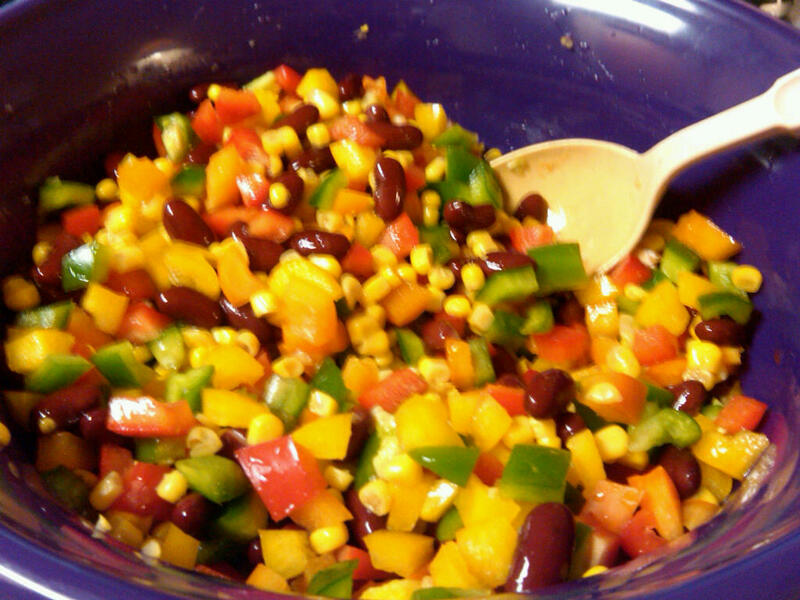 Add some corn and bean “juice” to mixture. I prefer more bean juice to corn as it’s thicker and holds it together better. Then tell everyone the “sauce” on the salad is a “special ingredient.” They will ask, but they won’t believe there isn’t anything extra. I learned this salad from one of my host families in Germany. And I’ll admit these pictures are from my desk at work. I literally made this salad about 1/2 hour before our office July 4th potluck party. Perfect summer salad!